So What’s All This Fuss About Act Structure? Part One. Structure! Structure! Structure! Sometimes one might imagine that this is all there is to script writing the way some writing teachers and coaches talk – me included. There’s no doubt about it, structure is important. Even proponents of anti-structure still have some sort of structure to their style. However, probably the most dangerous and confusing concept is the Three Act Structure, which is a common obsession. How many times have I read or heard the expression”the difficult second act?” The concept never existed before the “invention” of the three-act-structure. It is difficult because that one act is meant to represent at half of the screen time and no-one seems to be able to explain the process of writing it. Let’s have a look at where the concept of acts came from. As an example, let’s take a look at Macbeth. The witches set the theme “Fair is foul and foul is fair.” The witches give Macbeth their prophecies. There is a war, during which the Thane of Cawdor is executed and hence Macbeth is given the title. (First prophecy fulfilled). Not satisfied with this new found status, Lady M plots Duncan’s murder so that Macbeth will become king (and, thus, fulfil the second prophecy). Lady M manipulates Macbeth into go along with her plan. Macbeth has doubts but talks himself into following through. Macbeth breaks down following the deed so Lady M completes the scheme by framing the guards. After Macduff discovers Duncan’s body, Macbeth kills the suspects (guards) in a fit of sorrow and rage. The kings sons (Malcolm and Donalbain), fearing for their lives, flee the castle. Banquo begins to suspect that Macbeth is the real killer so Macbeth sends out some thugs to kill him and his son. While Banquo is killed, his son escapes. At a banquet, Macbeth sees Banquo’s ghost and begins, once again, to breakdown, ranting and raving. Lady M tries to cover this up by making excuses about Macbeth being prone to fits. Meanwhile, Macduff has gone to England looking for support because of his suspicions about Macbeth. Macbeth seeks out the witches who tell him that “none of woman born shall harm Macbeth,” leading him to believe that he is indestructible since their other prophecies have come true. He sends more assassins to Macduff’s castle to kill him. Meanwhile, Macduff is in England persuading Malcolm to return to Scotland to seize the throne from the tyrant Macbeth. Lady M has now descended into madness. Some of the Scottish Lords agree to help Malcolm and Macduff. Meanwhile, Macbeth is unconcerned because of the latest prophecy. However, Macduff did not enter the world by natural childbirth; rather he was born by caesarean section. Thus, in the final conflict, Macduff kills Macbeth and becomes the rightful King of Scotland. So why five acts? Well, it is suggested in some texts that the act structure was just a convenience for Elizabthan theatre, partially because of the necessity to trim candles at regular intervals. Arbitrary or what? Also worth of note is that Shakespeare, apparently, did not write in Acts and that this was a later division by those who reproduced the plays. It is suggested that the five act straight jacket was only imposed on Shakespeare a hundred years after his death! Next time I’m going to take a look at the film industry’s apparent obsession with the three act structure. Nearly a week has passed and people are still suffering withdrawal from the Olympics. So what did it mean to me? Well, as a non-sporty person who is also a writer, it meant no Eastenders on certain nights, no Casualty and endless bloody sport. Sport on the news; sport on every radio programme; sport in the newspapers; oh, and some idiot politician slagging off Danny Boyle’s “leftie” opening ceremony. 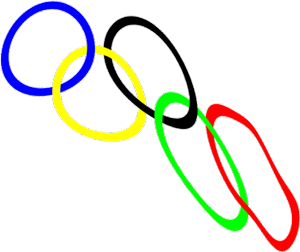 Don’t get me wrong, while I am no sports enthusiast, I was actually all in favour of the Olympics. I didn’t resent the cancelling or rescheduling of Casualty, or Eastenders like I do when football takes over (I think I’m the only Scouse male who dislikes football). I was sad at the thought that we (the Brits, that is) were going to have a disastrous 2012; I was over the moon when Lizzie Armitstead won the first medal for Britain; I was proud that we dominated the cycle track; and I was jumping for joy over our successes on the water. However, nothing made me more proud to be British than the opening ceremony. Danny Boyle’s vision showed the world the things we should be proud of. We led the way in industrialisation (not necessarily a good thing but the civilized world wouldn’t be so well off without it); we introduced a Factories Act; we established trades union; we invented a national health service; and our music is second to none! Too bad Adrian Burley, an idiot right-winger MP from the Midlands, had to spoil it with his twitter comment – “Thank God the athletes have arrived! Now we can move on from leftie multi-cultural crap.” He preceded this ridiculous tweet with “The most leftie opening ceremony I have ever seen – more than Beijing, the capital of a communist state! Welfare tribute next?” I had to respond. “I tweeted back something like – Why not? It’s something we can be proud of. There certainly won’t be a tribute to Afghanistan, Iraq or Falklands. I wanted to be abusive but that just wouldn’t be British, would it. So glad Cameron distanced himself from this folly. While the opening ceremony was spectacular and our team’s performance was nothing short of brilliant, the closing ceremony was not a patch on the opening. It was marketed as a symphony of the best of British music. I thought some of the choices were a little strange but, hey, there was a lot of Scouse (that’s liverpudlian to you non-Brits) references in there, even down to the newspaper taxies. Yes, this year’s Olympics has made me feel proud to be British again. Proud that we are shaking off that colonial image and the shadow of the slave trade. Proud to be human, even. But what really made me more proud of this year’s Olympics than anything else? The fact that this was the first ever Olympics where every team had a female athlete. Too bad I only heard one comment about this fact from one of the commentators.